Children thrive on music! It’s one of the best vehicles to help young children learn. Kindermusik takes musical learning to the next level. Since 1978, Kindermusik has been bringing the unparalleled benefits of music education to children and families around the world—and now it’s available for the classroom! 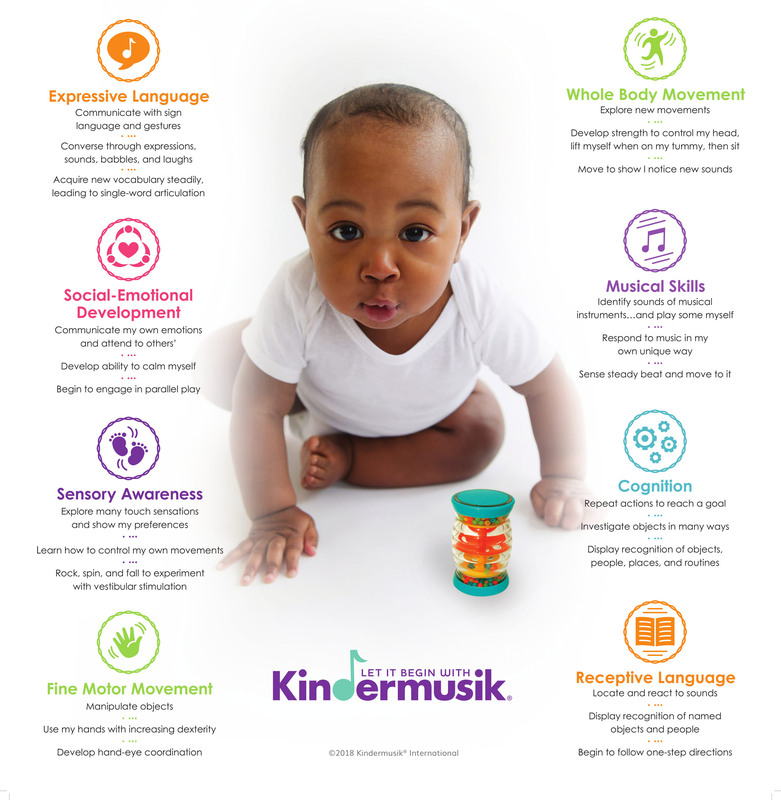 Based on decades of research, Kindermusik's curricula were designed especially for “non-music teachers” to enrich, enhance, and complement YOUR existing curriculum and programming, ensuring every child receives the developmental benefits of Kindermusik. The benefits of music are truly transformational. When paired with movement and instrument play, it creates neurological magic, lighting up a child’s brain and positively impacting all areas of development. The study, practice, and discipline of making music gives the brain and body a complete workout. Activities are designed to encourage multisensory learning, which employs and integrates several senses at once, stimulating multiple areas of the brain. Children experience music of varying styles, genres, and cultures. They interact with other peers and engage in movement, rhythm, and vocal activities that develop far more than just music skills. Our approach to early childhood education primes children for success in school and in life.